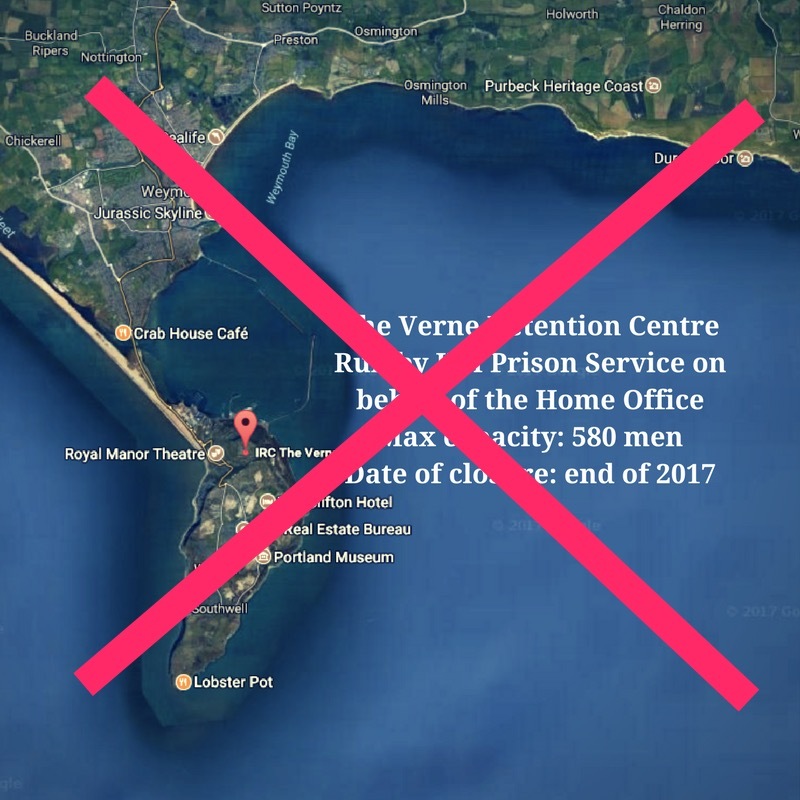 Detention Action has been running advice surgeries every month at the Verne detention centre, which is set to close at the end of this year. Jerome Phelps, Director of Detention Action, considers what our next task is. Detention centres feel permanent. There is nothing like the experience of visiting a detention centre, confronting the walls and locked doors and razor wire, to give a doomy sense of inevitability. All the more so when the detention centre you are visiting is The Verne, a three hour train journey and half hour taxi ride from the scrutiny of Parliament. 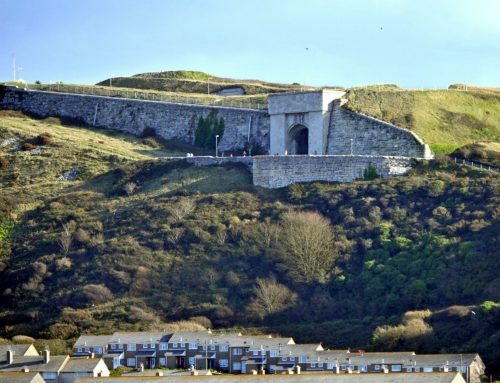 Its symbolism could hardly be more crushing – after you leave the spectacular causeway of Chesil Beach, the taxi takes you onto the Isle of Portland, a seeming enclave of extraterritoriality. A mile out into the Channel, inside the peak of the closest Dorset gets to a mountain, five hundred migrants are locked away. 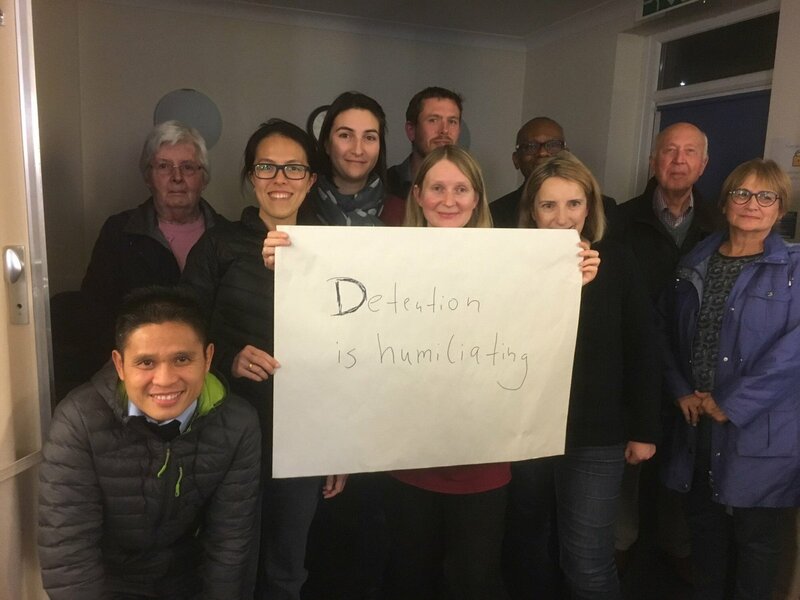 It is a journey that Detention Action staff and volunteers have been making to hold advice surgeries every month for nearly four years, since it opened. 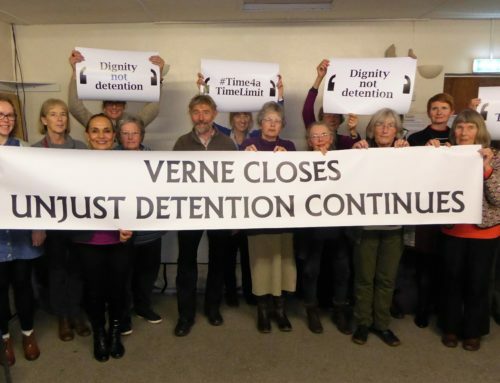 Yet last week, the Home Office quietly announced that The Verne will close by the end of the year. It will revert to its former identity as a prison, less than four years after the Home Office instilled the extra razor wire to adapt it to detain migrants. 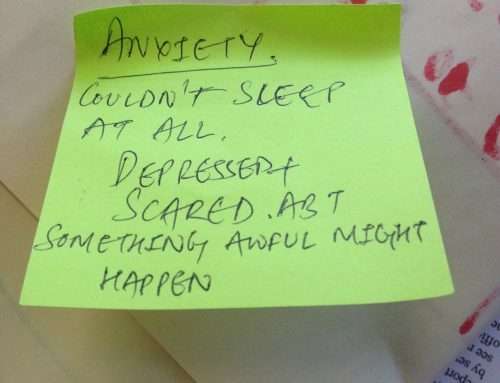 By January, every night around 500 fewer people will bed down to sleep or insomnia in a British detention centre. Why is the Home Office closing its second largest detention centre? The official explanation is that the detention estate is to be consolidated around the main airports. This is undoubtedly accurate – there was an aborted attempt last year to close the remote Dungavel detention centre in Scotland and replace it with a small short-term holding facility at Glasgow Airport. But it isn’t the full story, unless consolidation is understood to also mean reduction. 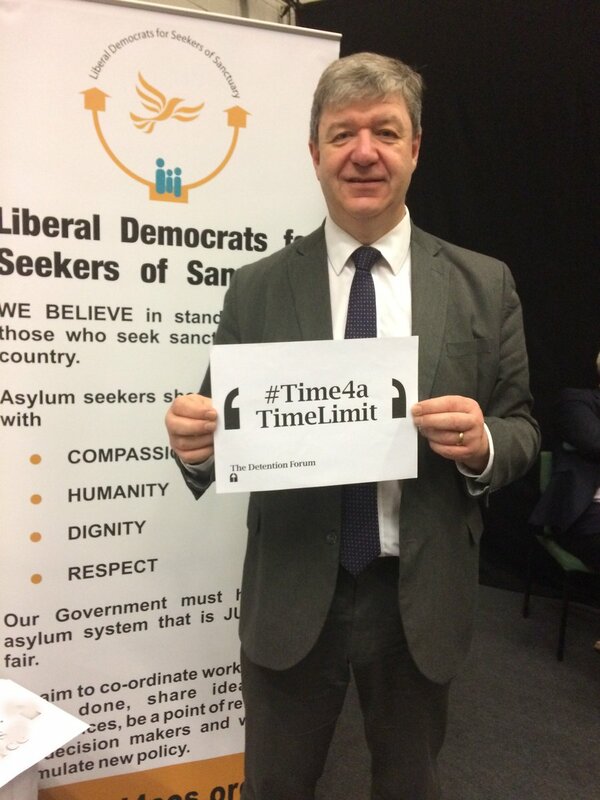 Indeed, the then Immigration Minister last year promised that fewer migrants would be detained, for shorter periods. It hasn’t happened, until now (although Dungavel closure would have helped, if planning permission hadn’t been refused). But the political momentum for change has not gone away. The Minister was responding the first review of welfare in detention by Stephen Shaw, ordered by then Home Secretary Theresa May following the scathing indictment of detention by a cross-party Parliamentary Inquiry. Shaw did not mince his words, describing the treatment of mentally ill people in detention as ‘an affront to civilised values’. Neither did he attempt to separate welfare from detention policy as a whole, condemning the scale of detention and the lengths of time migrants are held. Unfortunately, since the former Minister’s statement, neither the numbers of migrants detained, nor lengths of detention, have gone down. Detention remains unreformed. It is an unsolved problem that has suddenly become a high profile political problem again, in the wake of the appalling abuse revelations of the BBC Panorama documentary on Brook House. The sustained media focus on detention coincided with three more people dying in detention. Last week, the High Court found unlawful an aspect of the Home Office’s flagship adults at risk policy, its main response to the criticisms of the Shaw Review. And only yesterday, the Equalities and Human Rights Commission demanded an independent inquiry into the issues raised by the Panorama documentary, including the Home Office’s use of private contracts and the impact of indefinite detention, and threatened to launch its own investigation. All of this is happening at the worst possible time for confidence in the detention estate, because Shaw has just begun his follow-up review of Home Office progress. He is unlikely to be impressed. This is ultimately a political problem for a Government that can ill afford any more political problems. The follow-up Shaw Review was promised following unprecedented parliamentary pressure for wholesale detention reform during the passage of the Immigration Act 2016. The Government was twice defeated in the Lords on amendments that would have introduced a time limit for the first time, in line with the rest of Europe. Led by parliamentarians who had been involved in the inquiry, both Houses gave Ministers a thorough grilling. Compromise amendments, introducing a time limit for pregnant women among other things, were accompanied by promises that detention reform was in hand, with Shaw providing the oversight. So detention is now a real problem for the Home Office. It cannot afford Shaw to conclude that nothing significant has changed, giving further encouragement to the Lords to derail the coming Brexit immigration bill. It knows that the political pressure will not go away, having been cultivated over many years by the Detention Forum’s broad and durable civil society alliance. Indeed, detention reform could end up being an object lesson for anyone doubting that passionate, principled parliamentarians can change anything. Given that one or two other things have been happening in politics lately, it has been astonishing how our allies in Parliament from all the main parties have continued to keep up the pressure. In politics, it is easy to win the argument and lose the war. So often, momentum and small wins fail to add up to radical reform. The coming months are an unprecedented opportunity to convert those wins into major and lasting change. Immigration will not completely go away as a political hot potato, but we can begin to build a fairer and more humane system that doesn’t have to depend on damaging and routine immigration detention. We have set out in our report Without Detention how this can happen. But for any change to happen, people demanding that change still need to come together and build a much bigger voice to capture the attention of the government. 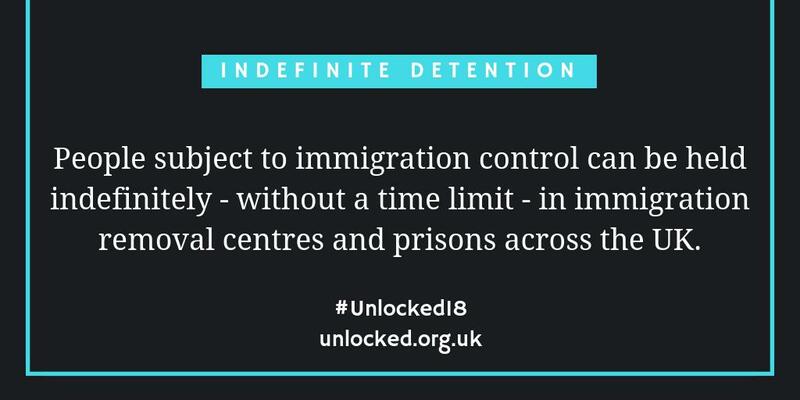 The ongoing Unlocking Detention is the perfect online opportunity – join us.